These fabulous bags are made from real sails. I haven’t found them in Canada yet but the Container Store does ship cross border. If all else fails have the bag shipped to one of your fabulous US boating friends! 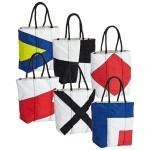 The Sailcloth Tote by Reisenthel® retails for USD $ 29.99 and can be ordered on-line at http://www.containerstore.com/welcome.htm. 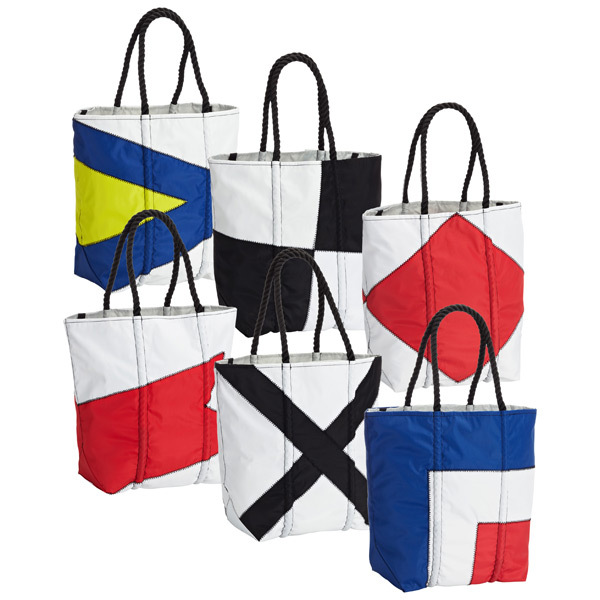 Make a splash with this Sailcloth Tote. Its nautical style features symbols from the international sailing alphabet and rope accents.Multiple pockets make it easy to carry all your essentials and keep them organized, whether you’re headed to a regatta or just running errands.